If you’re in the middle of buying an RV mattress, we understand you might be feeling overwhelmed now. Don’t worry because help is coming. In today’s buying guide and reviews, we’re going to help you pick the best RV mattress! The right RV mattress will offer you both comfort and support, as many of them are also body conforming. It only means they have the ability to conform or adjust to your body shape. A good one also has odor-eliminating features, including an added activated charcoal, green tea extract or castor seed oil. Nevertheless, the right pick will have the features and specifications, including the size that you’re looking for. If you’re ready, let’s begin finding the best mattress for your recreational vehicle in the following. Also in this guide, we’re featuring a buying guide on what to look for as well as answer some frequently asked questions about this product. Zinus is a top rated RV mattress. It is by a brand that believes in creating harmony. For this reason, they’re serious about engineering and manufacturing fluffy beds fitted well into boxes. They also strive hard in making bed frames and sofas, which are easy to assemble and can provide comfort to you and your loved ones so that they can easily fall asleep. 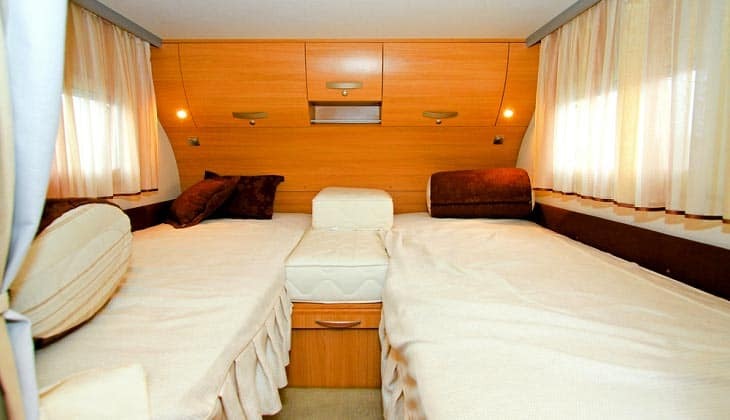 The short queen memory foam mattress for RV is a great choice if you’re looking for one that is conforming to the body to provide it with support and comfort, offering you a good night sleep. In addition, I liked that the mattress has three layers, including memory foam, a comfort foam and a base support foam. All of them come together for that cushiony and comfortable bed to sleep on. This mattress can really offer that great sleep after a tiring day of hiking, trekking or camping. I must say it is a necessary addition to anyone’s RV, not mentioning its high-quality CertiPur foam. This foam is certified top quality in the US for its content, durability and performance. All these things are making the Zinus Ultima a top choice for many RV owners who want to get more out of their spending on a new or replacement mattress. In addition, I noticed that the Ultima is innovative that it is made of the latest in technology in memory foams. This model is made of Bio Foam that replaces other ordinary petroleum with plant oil, keeping the mattress fresh. This model has a 10-inch memory foam that can offer comfort because it is conforming to your body shape. For its base layer, it is made of high-density foam that makes this model more stable and durable. Finally, the Zinus Ultima comes with a 10-year limited warranty. So if you’re looking for a short queen mattress for your recreational vehicle, camper or travel trailer, you should not miss the Zinus Ultima. It is a top-rated, high-performance mattress to rely on for years. However, the Ultima memory foam mattress is not as breathable as regular mattresses are. But then, you and your loved ones can have peace of mind that you can rest easy on the Sleep Master memory foam. The Dynasty RV mattress is another top rated mattress chosen by camper owners looking to have a comfortable and easy to assemble mattress aboard their vehicle. I would like to recommend this gel memory foam because of the comfort and support with which it can provide users. For one, it has a 3-inch gel foam, which is so soft and comfortable for the body. The gel component of the mattress also supplies cool temperature to the body – and that is thanks to the Sleep Cool Technology. The Cool-Breeze is one of my recommended RV mattresses because its memory foam is taking the comfort offered by memory foams to another level. It is unlike the first mattresses in the same category because it is really conforming to the body, offering it the support it needs after a tiring day. This model is made of a durable and innovative four-layer construction that offers additional comfort and support. I also would like to note that the DynastyMattress 12-Inch GEL Memory Foam offers an improved airflow, which is somewhat where other brands fail. Another thing notable is that it’s made with 5″ high-density foam on its base, making it more durable for harsh RV conditions. So if you’re looking for an RV mattress that can keep up with recreational vehicle conditions and frequent use, you should not think twice but take a look at the 12-Inch GEL Memory Foam. More so, the mattress is made of a dual two-inch cool airflow foam that makes it reliable for that superb comfort we’re looking for. In addition, you will like that it come with a 30-yr limited warranty. It is made with three layers of construction that makes it more durable than other models and brands on the market are. I also liked that it has a white cover plus brown suede on its corners. 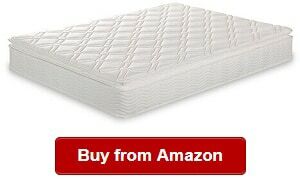 The cover is also washable, so this mattress is basically easy to maintain. It also has a fire barrier and a zipper. Finally, I appreciate that the manufacturer is thoughtful enough to include free two pieces of memory foam pillows that we won’t be able to find in other mattresses out there. On the little drawback, the smell can be unpleasant in the first uses. But overall, just like what you can read on RV short queen mattress reviews, this model is one of the top choices among travel trailer owners looking for a high-performance memory foam mattress to last for a longer time for its heavy-duty components. The mattress for camper trailer is a great choice if you’re looking for a top performing mattress made of heavy-duty components. One of the things that make it an ideal pick is that it is made of CertiPur US foam, which is guaranteed to last longer than ordinary and standard foams on the market are. Aside from choosing the best RV mattress topper, you should also look into buying a good mattress like this Lucid memory foam mattress. This gel memory foam is also one of my favorites because the short queen camper mattress is backed up by a 10-year warranty. It only translates to peace of mind among RV owners that want to make sure they can get help if they encounter any problem with their memory foam. As you may already know, it is a serious investment, so we have to ensure that we can ask for help if and when the product we received is defective, for instance. Another great thing about the memory foam mattress is that it offers a conforming comfort because it is made of a responsive open cell memory foam that can compress evenly under your body weight. It can conform to the body curves, alleviating pressure point pains. This model also has ventilated design to help improve the airflow through the foam layer. It also offers enhanced breathability for a greater sleep environment. On a drawback, this product is shorter than other queen mattresses for the RV. But if you would look at its superb performance and quality, you should not miss this memory foam mattress. The LUCID 10 Inch Gel Memory Foam Mattress is also specifically made for the recreational vehicle, cabin, tiny homes, campers and yachts. The best RV mattress short queen should have the features that can make it a great investment for RV owners looking to get the most of their spending. One of the top picks that I would like to note is the Zinus memory foam, which is innovative and feature-packed to contain green tea on its mattress. It only means that people sleeping on it can feel and experience stress-relief. This sleep master foam is one of those suitable for RV owners looking for a short queen mattress that can offer them with conforming comfort, providing support to the body for a restful sleep. Another thing I liked about the memory foam mattress is that it can also conform or adjust to the shape of the body, translating to a comfortable sleep for all users. The 6-inch also offers a long-lasting stability and durability for those years of service. This model is also backed with a 10-year limited warranty, offering peace of mind to RV owners. So if you’re looking for a good memory foam mattress for your recreational vehicle, you should not miss this one. It is also made with infused with green tea extract plus castor natural seed oil that can naturally eliminate bacteria and odor. 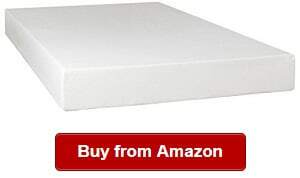 t is innovative foam that is a top of the line product and is one of the things that people investing on new foam are looking for to ensure the quality of the memory foam mattress they are buying. However, this product is a bit pricey but overall a decent pick. 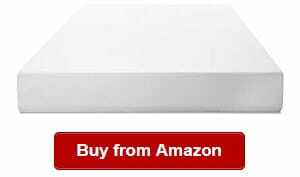 The Live & Sleep Resort Classic memory foam mattress is a 10-inch bed in a box, which is another top choice for people looking for a good mattress aside from quality short queen mattress sheets. This short queen mattress is ideal for the recreational vehicle, motorhome, trailer, truck and camper. It is a versatile choice that suits people that love outdoor adventures aboard their vehicles. The 10-inch mattress is also a top choice for its cooling innovation. The model is also made of superior quality, plush and breathable components. It is also one of the best in terms of helping cool and relaxing your body. You can rely on it for reducing your stress with a deep sleep after a tough day ahead. The short queen mattress has a durable and medium firm core, which can help in relieving pressure points, offering you a restful sleep. With this product, you can prevent turning and tossing at night. In addition, it has a 2.5-inch infused foam over a high-density support base for extra durability. 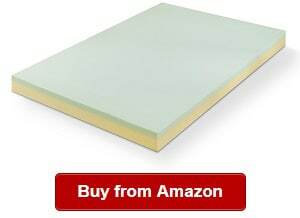 This memory foam mattress is ideal for motorhomes, trucks and recreational vehicles. This model also has a knit cover, which is made of a fabric textile that can work and match any bedroom furniture and frame set. The special fabric also lets the air to flow freely in and around it. On a negative note, this product might be too firm for some customers. But overall, the Live & Sleep Resort Classic memory foam mattress is a great pick for RV owners who want to invest on a high quality and durable product that they can rely on for their vehicle. This product is a CertiPUR-US Memory Foam Mattress Topper that comes with a cover. It is another memory foam RV mattress not to miss if you’re looking for a reliable and heavy-duty product that can offer the best bang for your buck. The tri-fold mattress is designed and manufactured with 1.5-inch memory foam along with 2.5-inch hi-density foam offering added support and comfort. With the high quality RV mattress topper, you can have peace of mind that you will have a restful sleep each night. It can conform to your body shape, providing it support it needs and relieves pressure points. You will also like that this tri-fold mattress is also made with a 1.5-inch memory foam and 2.5-inch high-density foam, which add to the support and comfort with which the RV mattress can offer you and your loved ones. 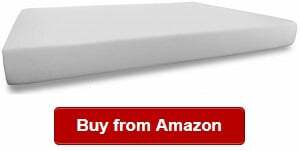 The Best Price Mattress 4″ RV Short Queen also allows folding up for quick and easy storage. The portable design also makes it easy to transport so that it can be used in different situations. The RV foldable mattress is also ideal for sleepovers, camping, guests, RVing and other situations because it is portable and versatile. Indeed, the RV memory foam mattress is not only for RVing but also for homes, including cabins, vacation homes and tiny homes. This must-have memory foam mattress for any household is a great choice for its durability and reliability. The product comes with a cover that has a slip proof bottom to keep it in place. In addition, the tri-fold mattress is designed and constructed with heavy-duty materials. More so, it is made of CertiPUR-US Certified memory and high-density foam that ensures it long-lasting use and durability. On a negative note, some customers are complaining about the unpleasant odor. Overall, the short queen memory foam mattress topper is also an excellent product for car trips and is backed by a 5-year warranty. 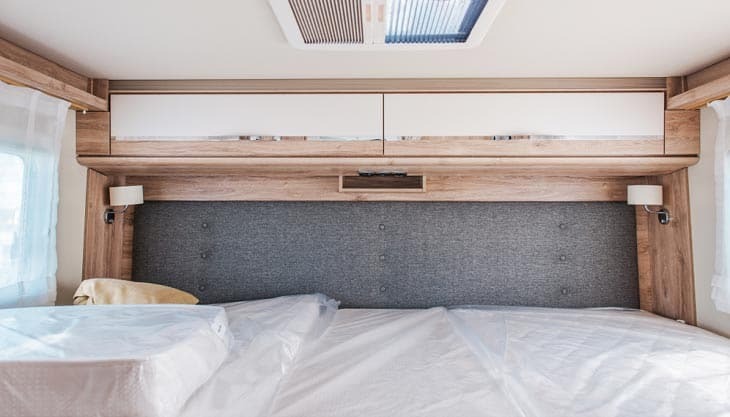 When shopping around for a camper mattress, you should take a look at a few factors that include performance, high quality materials and ease of setting up. All these things and more are in the Zinus Ultima Comfort 10. 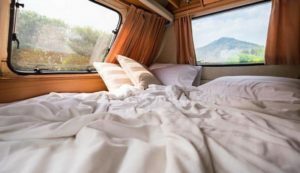 It is for the same reason that it is included on this list of the top RV mattresses that homeowners and RV owners can rely on when choosing a mattress for their recreational vehicle or home where space is a premium. It is not only applicable for homes or RVs though because it is also versatile enough for trucks, buses, yachts and cabins. If you have a tiny home, you might also want to take a look at the Comfort 10 that lives up to its name. The mattress can offer supreme comfort to you and your loved ones because the top spring mattress is made with Independent I Coils. They work by offering customized support to the user and at the same time reducing motion transfer, ensuring a good night sleep. This Sleep Master Ultima mattress is also recommended by many consumers because it can offer an exceptional support to the body. I liked that it can keep us aligned with the bed. That said we could look forward to a quality sleep at night or anytime we want to have some Zzzz. Another thing I noticed is that it offers customized support for the body. The foam is conforming to the shape of your body, with Comfort foam and built with coil-pocketed springs. For peace of mind, I also appreciate that this model comes with a 10-yr limited warranty. That said you could look forward to help whenever you meet an issue with your RV mattress. However, this mattress isn’t the most breathable around. But if you would take a look at its features, it is one of the best choices because it has an innovative design and heavy-duty materials. Aside from comparing RV mattress sizes chart to figure out what top mattress suits your vehicle, you should also look into the quality that you’d be paying for, so think about good brands like the Dreamfoam. 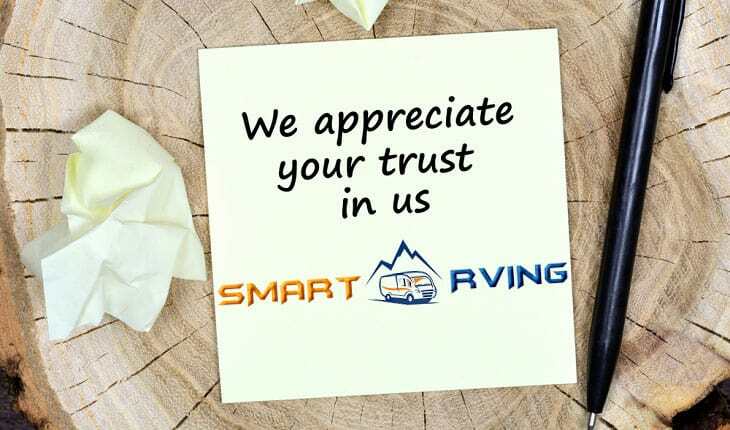 It is one of the most reputable brands around for designing and manufacturing great mattresses that homeowners and RV owners can depend on to last for years. 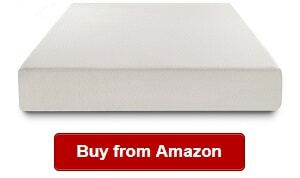 One of their best offerings so far is the Dreamfoam Bedding Doze 11″ Plush Pillow Top Mattress. The made in the USA product is a short queen size top mattress that is made with heavy-duty and durable materials that can give you peace of mind in terms of years of use. I also liked that the mattress is built with three levels of thickness, offering varying comfort for providing support. It only means that it can offer that great night of sleep to your loved ones, who can feel as if they are home sleeping on their bed. The firmness is just right, not too soft. With it, you can look forward to a comfortable sleep each time. I also noticed its foam construction that is zoned. So wherever the body needs support, the zoned construction can work. The mattress is also backed by a 10-year warranty that makes it one of the top choices by RV owners who want to have peace of mind that they can get help when they need it. Overall, the Dreamfoam is an excellent pick if you’re looking for combined features, including a great design and durable construction. Definitely, this product deserves a second look. However, this mattress has an unpleasant smell. It is one of the complaints of other users who bought it. But other than that, they love the overall design and construction of the mattress. I also do believe that such odor dissipates in one day based on experience. If you want to buy a queen over a King RV mattress, you might want to check out the DynastyMattress 10GEL-QUEEN-RV. The 10-inch RV mattress is a solid pick for those who want only the highest quality investment they can make on a new or replacement RV mattress. The 10-inch CoolBreeze Gel Memory Foam Mattress is also infused with gel that can give me a cool feeling especially that I do not move a lot when sleeping. I think it is a good innovation for memory foam mattresses. The infused gel can keep us from sweating. The Memory Foam Mattress is taking comfort to a new level versus other foam mattresses on the market. One of the things I would like to recommend this product for is its four layer of construction. For me, it only translates to careful planning and design of the mattress. A thicker construction only means that it is also durable. I also would like to note that the memory foam is premium quality, so we can look forward to long years of use in our cabin, camper, travel trailer, truck, bus or mobile home. I believe that this product is also one of the best in its class because it is made with heavy-duty materials to withstand abuse and use. The mattress is also ideal for other situations, such as camping or accommodating houseguests. I also liked the elegant overall appearance of this memory foam mattress. 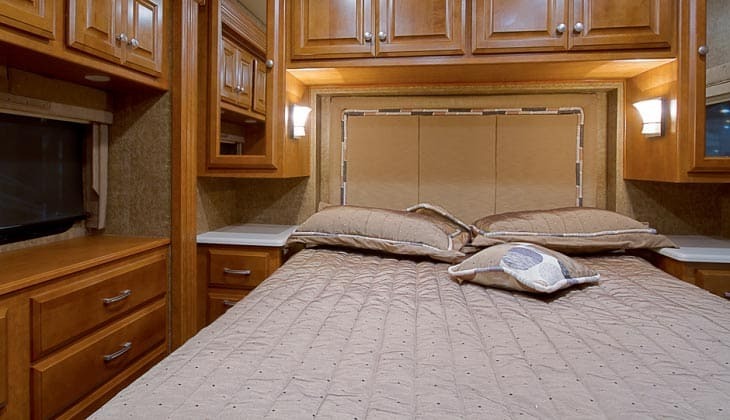 It has this white cover and brown suede that makes it look even more luxurious to match any RV decoration and design. However, some might not like its firmness, but then, most people that have been using this memory foam mattress are generally happy about it. I also would like to recommend this product because it is infused with gel for coolness and added comfort. I would also like to note that it has a really nice support base. Overall, it has a great construction and design. This Zinus memory foam mattress is one of the latest offerings from this brand that has been around for years, keeping their commitment to excellence and quality. This product is made for smaller users, such as kids and adolescents. It only means that it is for narrow twin sizes. But then, I noticed that Zinus has kept their quality commitment on this product. I think they have made another masterpiece in the memory foam mattress that is just priced right but is still looks aesthetically pleasing just like other Zinus we have reviewed earlier. I also liked that this smaller mattress is providing users with an ultimate comfort and support that they are looking for, despite its small size. I also appreciate that this model has natural oils infused on it. Such can replace traditional petroleum while also offering freshness. 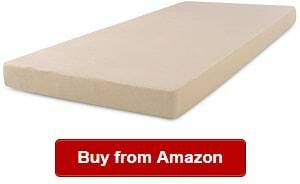 It just means that you won’t only sleep soundly at night on this memory foam but also feel good about it. Aside from these things, I recommend Zinus because they have given their consumers several choices so that they can select the right mattress for them in terms of size. In addition, they can provide you with different colors to choose from, too, and that is something that can help you make a better decision regarding your purchase. And more importantly, I liked that Zinus is offering such quality product at an affordable price. In this case, we don’t just get a really nice memory foam mattress but also a durable one. However, the size only fits smaller users. For this reason, it might not be for you if you’re looking for a short queen, for instance. On the other hand, it could be for you if you’re finding a good memory foam mattress for your kid. Also, it can be for you if you’re just planning to use it whenever you have houseguests and you want an affordable memory foam mattress. Aside from comparing RV king mattress topper available online you might also want to check out a king size RV mattress that can accommodate more of your loved ones for its large size. It is another top seller in its category for its durable construction. One of the things I liked about the Serenia Sleep 8-Inch Memory Foam RV Mattress is its large size 72 inches x 80 inches. While is larger than other models, it still fits most RV models. This product is also ideal for cabins, campers, trucks, buses and yachts. The memory foam mattress is temperature sensitive in an open cell construction. It only means that it has the ability of dispersing weight while at the same time giving you a nice sleeping experience versus any other closed-cell foam on the market can. I also liked that the memory foam mattress is offering a medium firm feel plus a support underneath. Another thing I would like to note about the product is that it can conform to our body profile including on our shoulders and hips. That said we could have peace of mind that it could offer us with a firm and even sleeping surface. Also, it has a supportive base layer that makes it more durable. I’d also like to recommend the Serenia Sleep because it lets us travel in comfort and make us feel as if we’re home. It offers us with the comfort, durability and lightness. More so, I notice that the memory foam mattress is available in sizes that you can choose from, such as Short Queen or Short Full. It gives us the flexibility to select the right size to fit our needs. You can also have peace of mind that you can sleep cooler on this mattress because it lets our bodies dissipate heat more evenly to prevent sweating, especially those who do not move a lot. Another thing I noticed is it has a stretch-knit cover that gives that European style finish. It matches no matter the decoration of our vehicle is. The mattress is also well designed for its 2-inch later of a 2.5 lb density of memory foam over a 6-inch layer firm base foam, adding durability and support for the mattress. However, the mattress has an unpleasant odor at first. It might take up to one day before it fades. But overall, the Serenia Sleep mattress is a decent choice for those looking to get more of their investment for new memory foam. Whether you’re finding a new or a RV mattress replacement, you might want to take a second look at the Zinus green tea memory foam. It is made of high quality and durable materials, ensuring you will get the most of your spending. With it, you can look forward to long-term use. The 4-inch topper can improve the comfort you will get from your mattress with its 2.5 inches of support foam and 1.5 inches of memory foam. There is nothing like it when it comes to just the right softness that adds to the comfort that your RV mattress can provide. As it does not include a cover, it can also fit under a deep pocket fitted or standard fitted sheet. It is also one of the most innovative products in the category because it is making use of natural plant oils replacing many common petroleum oils used in other products. It can remove odor and keep the mattress fresh. It is made of Biofoam that has green tea extract that does not only remove odor but also add to the comfort of sleeping. It is also made with active charcoal, which also helps in eliminating odors and absorbing moisture. The topper also remains fresh with its active charcoal and green tea extract component. I also appreciate that this product is backed by a 5-year limited warranty, ensuring our peace of mind that we can get help when needed. I would like to recommend this memory foam because it offers an ideal support and comfort that you and your loved ones will appreciate. However, its thickness might not be enough for some users. 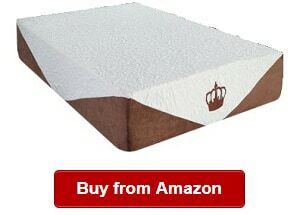 But overall, it has the features and performance that we’ve been looking for when buying a new memory foam topper. 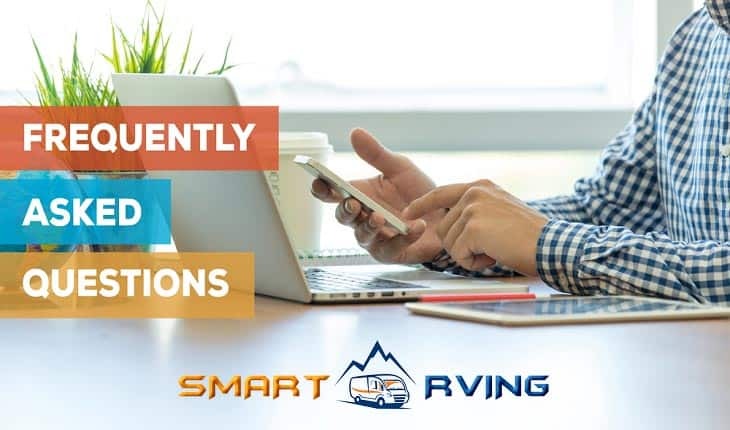 Smart RVing has been around for years providing useful and insightful information about the best RV gears, accessories, appliances, equipment and systems. Our team is composed of real RVers with combined skills and experience in the RVing world. We’re here to offer you with advice and guide as well as resources so that you can pick the right products for your RV. We understand that it can be overwhelming to choose a specific one. In a certain product category, there are many brands and models, each with configuration or specifications that can make them different from each other. But by knowing the things to look into, such as when buying the best mattress for your RV, you will be able to narrow down your choices and avoid wasting your effort and time browsing on too many products. If you also know certain factors, including type of mattress, size and warranty, you will also be able to make a better decision regarding the foam or topper to select. It is exactly why we’re creating buying guides for you! We would like to help you pick the Zinus short queen mattress, for instance. Before reviewing any product we have in this guide, we first determine the factors to look into so that we can also put up a buying guide. From those things to consider, we search for products that meet the criteria. We review each of them and highlight their pros and cons so that you can check out what makes each of them better than the other is. With the things to know about a certain brand model, you will be able to decide better. You can also make a thorough comparison of it to other products in the same category. Definitely, you should trust us to buy a new or replacement RV mattress because we’re making a thorough research, review and comparison of the products that we’re listing here. Also, our team always strives hard to give you the best ideas and insights to use the right products that suit your RV requirements and family’s needs. Before discussing what to look for in a custom RV mattress or a standard size – twin, queen and king, among others, let us first define what an RV mattress is. It is not the ordinary mattress that we’re using at home because it is made for the camper, recreational vehicle, mobile home, bus, truck, travel trailer, buses and so on. It can also be used for cabins and tiny homes, too. You can also use it for camping and for houseguests. The RV mattress is suitable for many applications and situations, adding to its versatility. 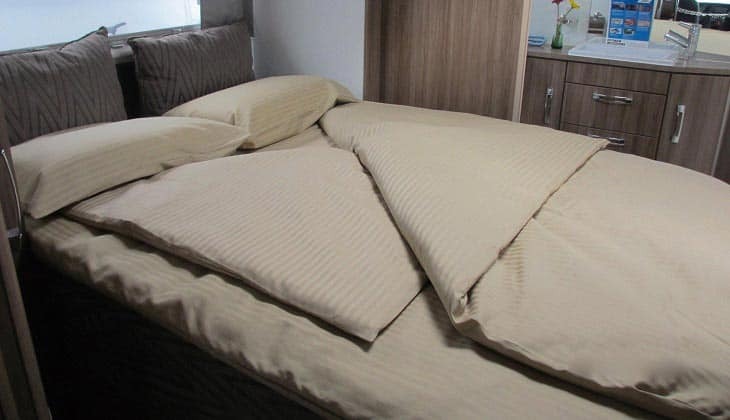 In addition, the RV mattress, such as an RV mattress short queen, is designed for the RV regarding its shape, size and thickness, among other things that make it unique that can meet the unique needs of your vehicle. Some mattresses for the recreational vehicle have at least one corner cut out in order to fit the space and turns inside a recreational vehicle. For the same reason, you should measure the correct parameters of the space where you are planning to put the mattress. It is also for the same reason that it is uneasy to buy an RV mattress. We do hope that you can use our guide as a reference when finding a replacement or new RV mattress. You should consider its size, for instance, which is why you should also get the right measurements in the space. With the right measurements, you can be certain that you won’t be wasting money when you buy a new RV mattress. Take note that it is not cheap to invest on this product, such as the Tempurpedic RV mattress, so you have to consider the different factors when choosing one. But nevertheless, you can have a great sleeping experience when you select a good brand of mattress. Some of those we have featured on the list. With the right RV mattress, you will not just enjoy your trip but also have a great sleeping experience. There are many types of mattresses to choose from, and so it will be wise if you know each of them. With the information, you can decide better which to choose. Five different RV mattresses are available around, and they are innerspring mattress, memory foam mattresses, air mattresses, latex foam mattresses and polyurethane mattresses. In the following, let us discuss about each of them so that you will have a better idea on what to expect. It is one of the first mattresses available for the recreational vehicle. The reason it is still the most chosen is the familiarity of RV owners to it. For many of them, this type of mattress for the RV can provide them with better comfort and support than what a regular wired embedded innerspring mattress can offer them. In addition, this type is the most affordable of all the available options out there. So for those on a budget, they opt for this type because they can also make sure that they can get the most of their spending for a durable RV mattress. It is a cheap RV mattress that many people also want to replace if they already have it with one affordable but quality foam. Some makers use this material for their foam because they want to keep their products affordable. You can buy it if you want a temporary or quick replacement. This foam is durable and high quality. It is certainly the best choice for many RV owners looking to get the most of their spending. Many campers, travel trailers, trucks, buses and tiny homes are now using this type of foam because they can get more of it. However, this is not the affordable type, so it might not be for you if you’re looking for an affordable mattress for your recreational vehicle. But if you’re finding a product that can perform and last for many years, you might want to take a look at this type. While many of those available on the market now are made of natural and organic materials, many RV owners do not still prefer this type especially among those looking for enough support on them. This type is also not chosen by many homeowners and RV owners who want to take a rest after a long day of driving and want to prevent soreness. It is also not the common choice of many RV owners because it seems to lack in the comfort and support that they can get from memory foam mattress. This is another type of RV mattress that you can select if you have a smaller vehicle than standard sized RVs because it is ideal for really tight spaces. It might also be for you if you have a small cabin or you’re planning to use it only on occasions, such as when you have houseguests. Thus, it can also be for you if you have limited storage space and capabilities. You need an RV mattress like a Dometic Serta RV mattress, for instance, in your recreational vehicle, camper, travel trailer, cabin, vacation home or actual home for certain reasons. One of the main features of this type of mattress is that it fits the camper or recreational vehicle. It is especially designed and made to fit small spaces, such as cabins, vacation homes, recreational vehicles and campers. They have just enough the size that can fit into the corners and turns into the RV space. But still, you have to get the measurements of where you plan to set it up to ensure that it will fit the allotted space for it. With the RV mattress, you can also easily plan and move around your furniture without any hassles. As you may already know, there is a very limited space in the RV ort tiny home. But with the correct size of the foam or mattress, you can organize the things contained in your RV better. The RV mattress can also make you feeling comfortable just like you were home. With it, you won’t feel that you are away from your bedroom because it can offer you the same level of comfort and support that your bed can. That said you could also have sound and quality sleep even when camping. And if you were driving the recreational vehicle, you can also be sure that you will be able to rest well at night and have a good sleep. Many of the models that we have featured here can offer pressure relief because they have zones that provide support to the body parts, such as the shoulders, they are need the most. Some of them are also body conforming and supportive. In addition, the RV mattress is also made with natural plant oils or green tea extract. Others are made with activated charcoal. These added features can get rid of foul odor and bacteria. They can also keep the mattress smelling fresh so that you can get continued comfort. By having an RV topper or mattress, you can also be sure that you can get that relaxing sleep all the time. High quality mattresses for the recreational vehicle can also last longer. RV owners can look forward that they can get the most of their investment especially if they will begin the comparison with the list we have prepared above. The mattresses we’ve featured here are top raters and trusted by consumers for their proven durability, ensuring they can serve you and your loved ones for years to come. Also, the best mattresses for the travel trailer have an elegant design. Many of them have a white cover that is also easy to spot clean. These foams have a great aesthetics to fit any camper decoration and design. On the other hand, some of the RV mattress brands have included freebies on their offers, such as free pillows. It is just one added benefit of buying this specific RV mattress. While these mattresses tend to be pricier than ordinary ones on the market, they are worth the spending because they are durable to last for many years. They are also easy to maintain or clean. Overall, it will be worth your money to invest on a good mattress for the travel trailer. To get started choosing which one is for you, compare the products that we have reviewed earlier. Whether you want a RV queen mattress topper, a king topper or a mattress, you should know what to find so that you can be sure that you’re getting the most out of your spending. In the following, we will discuss the things to look for to find the perfect RV mattress for your needs. If you’re buying a replacement mattress for the recreational vehicle, you should first take the measurement of your old one before buying the new foam. With the correct measurement, you can be certain that you will make the right decision in making the purchase. In this case, you can also be certain that the one you’re buying isn’t too small or too big. There are many sizes available for the RV mattress. It is for the same reason that you need to figure out what size you really need. In the following, let us discuss the most common sizes of mattresses to select for your camper or recreational vehicle. By choosing the right size, you can also be certain that you can set up the foam in your tiny home or cabin. The list is long, and we recognize that it does seem to overwhelm you with the plenty of choices available. It is for the same reason that I would like to recommend you take the measurements of your old mattress if you’re replacing it. On the other hand, you should be measuring the space where you plan to set it up if it will be your first time to buy this kind of product. Knowing the correct size for your RV mattress, you will be able to narrow down the selection. It is because you don’t have to keep browsing to mattresses, which sizes are too big or too small for your space or needs. For example, you might not want to buy the best RV queen mattress if your space is limited and you’re looking for a narrower option like a narrow, twin size memory foam mattress, for instance. These are two of the features that separate average and high quality mattresses. They can make the big difference in terms of how many years you can use the mattress. To check on the quality of the product you’re buying, you might want to check out some reviews. People who have bought and have been using specific brands and mattresses are great sources of information as to whether the product is reliable or not. From those reviews, you will also find out if the specific product that you’re eyeing on is durable. You can also discover about the pros and cons of using specific foam from those consumers who have been using them. From these reviews, you can also narrow down your choices as to which products are getting more positive than negative reviews. From those users, you will also learn about the specific features that make one mattress better than the other is. In addition to reading reviews as well as forums, you can also check on the quality by looking into the brand. Reputable brands will not compromise on the quality of their products because they strive hard to offer their customers with only premium mattresses that will last longer. These brands also value the trust of their consumers, so they strive hard to offer only mattresses that can offer both comfort and support. They are serious about their business, so they won’t offer below standard products that will affect their credibility. It is another factor to look into when buying a new or replacement mattress like a Serta RV short queen mattress, for instance. You must buy a product that is backed by a solid warranty. It is one of the things that can offer you with peace of mind, knowing that you can get help when you encounter any problem with it. So if you meet any issue with the mattress, you can rest assured that you can seek help from the manufacturer if the product you bought has a solid warranty. Many of the products we have featured here come with at least five years of limited warranty. That is just an average because many of them also have a warranty of up to 10 years or more. On the other hand, there are also manufacturers that can offer more than 20 years of warranty for their products. There you have some of the things to look for if you want to get a high quality, durable and comfortable to use. You can refer to this guide before buying one to ensure that you will get a memory foam mattress that does not only fit your needs but also your budget and RV requirement. Q: Can you name some RV mattress brands? A: On the market, you can find so many brands for an RV mattress. However, it can be overwhelming to take a look and compare all of them. For this reason, it will be wise if you would have an idea on the best brands that you can rely on so that you can find it easier to select the right one you need and that fits your RV requirements. Some of those we found based on our research include the Zinus, DynastyMattress, LUCID, Live & Sleep Resort Classic, Best Price Mattress, Dreamfoam and Serenia Sleep. They are reputable brands known for their commitment to excellence in their products. Through the years, they are the ones being chosen by RV owners looking to invest on a really good quality mattress for their vehicle. One of their best features is their innovation. They never fail to discover new ways on how to make their products better. For example, some of them are able to introduce mattresses with green tea, castor seed oil and activated charcoal. All these added ingredients can make the mattress fresh and free from contaminants, including bacteria. They can keep the mattresses fresh smelling. I also noticed that these brands have positive reviews from their customers. All of them are top raters, which I think is a plus factor why consumers should pick a product that they manufacture. These brands also have good customer service and back their products up by good warranty. Q: What makes the RV mattress? A: The answer to this question is not definite. The components of a mattress will depend on what the manufacturer has used in its creation. But for many of the available mattresses now, they are common made of at least one of these – memory foam, polyurethane foams, and innerspring, latex or natural fibers. If you wish to compare each of them, you can go back to the section where we have discussed about the types of RV mattresses available now. So at the very least, you can determine the type based on the material used in the manufacture of the product. But if you’re looking to get the most of your investment, I suggest going for a memory foam mattress. It is by far the most beneficial of them all in terms of comfort and support. 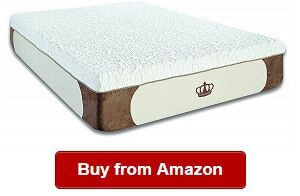 I bet these two things are most important when looking for a new or replacement mattress like a Costco RV mattress. However, for some people that do not like the thought of added chemicals to make this foam, they go for other choices instead. Still though, I believe that memory foam mattresses are the best choices around in terms of all the convenience, comfort and supportive features they can offer versus other types of mattresses. If you’re looking for a more affordable option, though, you might want to take a look at an innerspring. It can also be a good pick especially if you’re on a budget. Q: What’s the difference between RV vs regular mattress? A: The RV mattress has its differences versus the regular mattress, and one of those is their sizes. The short queen or RV mattress is shorter than the regular mattress is. And for that, the short queen is what you need for your RV or cabin or anywhere there is limited space but you need a large mattress. The short queen is what you need in your recreational vehicle because it lets you organize and move around things around your vehicle without any worries. In short, you can make the area more organized and breathable by having the short queen for your travel trailer or camper. Q: How to measure an RV mattress? How to choose the right size? A: Knowing RV mattress sizes are important to figure out what size you need for your vehicle. In general, the common sizes are listed above, and you might want to use it to get started with the selection process. Also, it is important to get the exact measurements of the corner or spot in your RV where to put the mattress before buying one to ensure that it will fit that allotted space. Q: Where to buy it? A: You can buy an RV mattresses short queen, twin or king in Wal-mart and other places. On the other hand, you can also get them online, such as on Amazon where you can find a wide range of display to choose from and compare when looking for a good RV mattress. Online, it is also more convenient because you can have the product delivered at your doorsteps without you having to spend any effort at all after purchase. Q: Any tips on adding a bed to an RV? A: It can be hard to add a bed to an RV especially for smaller ones because of the very limited space. For this reason, it might be better to buy smaller mattresses if you have a small vehicle and you plan of adding at least one bed to it. Q: Can RV mattress be replaced? A: Yes, you can replace an RV mattress like a Walmart RV mattress. You can choose from affordable but high quality products now available on the market. In addition, you can replace your old mattress with a new one that has a similar size to ensure that it will fit the space available in your recreational vehicle. Q: How can I make the RV mattress better in terms of comfort? A: If you want to improve on the comfort you’re getting from your RV mattress, you don’t have to worry. In the following are some tips you can use to enhance its comfort. I believe this is one of the best items to add to the RV mattress to make it more comfortable and firmer. If you would like to begin searching for a good one, you can refer to some toppers we have featured earlier. You can also improve its comfort by getting new bedding, not the ones that come with the mattress you bought. Nevertheless, better bedding can give you a better quality sleep. Q: Can RV mattresses be washed? How to clean? A: No, most of them require only spot cleaning. They should not be machine washed, too. In general, you can find specific care and cleaning instructions on the label. They might vary from one manufacturer to another. But nevertheless, cleaning the RV mattress is easy and simple. Q: Where to buy RV mattresses? 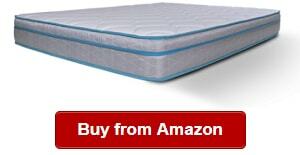 A: You can buy an RV mattress from a local store or from online stores, such as Amazon or eBay. But while there are many places to buy it, you should be able to compare your choices well and that the one to buy should fit the limited space in your RV. Finding the best RV mattress can be overwhelming if you don’t know what to look for when comparing your choices. But after reading this guide, we do hope you can make a better decision so that you can buy the right RV mattress for your needs and requirements. Buy a recreational vehicle mattress today! Thank you so much! We we have an RV that needs a mattress desperately so we will go ahead with the above. Again much comfort to you! Smartrving.net is a participant in the Amazon Associates Program, an affiliate advertising program designed to provide a means for sites to earn advertising fees by advertising and linking to Amazon.com. Amazon, the Amazon logo, AmazonSupply, and the AmazonSupply logo are trademarks of Amazon.com, Inc. or its affiliates.